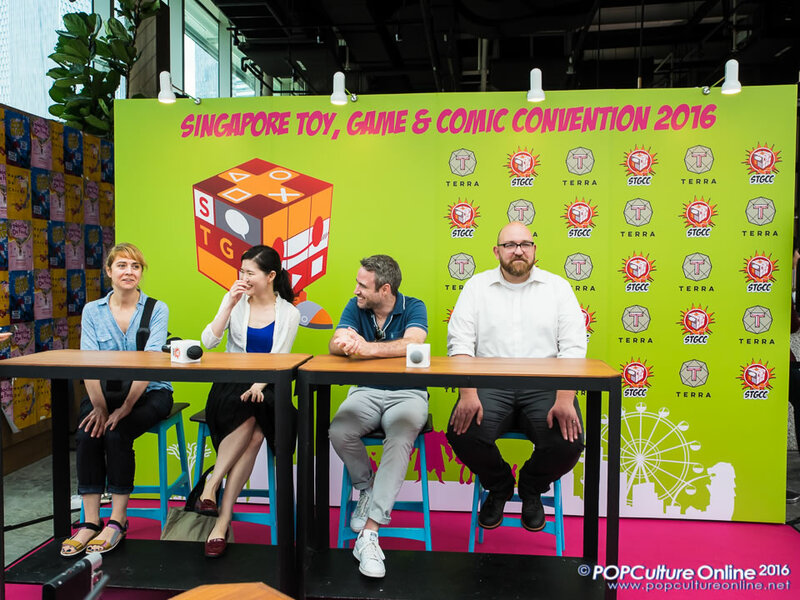 As with previous years, the media preview for this year’s Singapore Toy, Game & Comic Convention (STGCC) 2016 was held on the Thursday before the event itself. 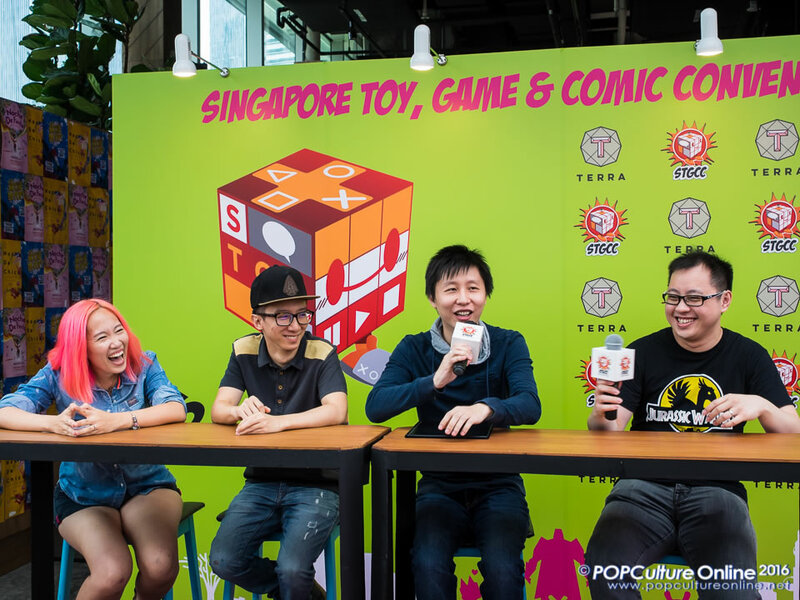 Held at Suntec City’s Sky Garden at the cosy Terra, members of the media were given a preview of what to expect at STGCC 2016. Starting off the media preview, assistant project director Lin Koh gave a short introduction to this year’s event with encouraging words to describe how the Singapore Toy, Game & Comic Convention (in its ninth year) has grown over the years with an increase in numbers all round. With a total of 43 popular culture guests coming down this year, 263 companies on the event hall and 193 exclusive products being sold, this year’s STGCC will expect 45000 visitors over the two days. Very healthy numbers indeed! In line with the East meets West idea, the eastern content will also see more content this year with Akiba POP Stage and a favourite every year, Celebrity cosplayers will be here to not only sell their merchandise but also sign them at the walk of fame. 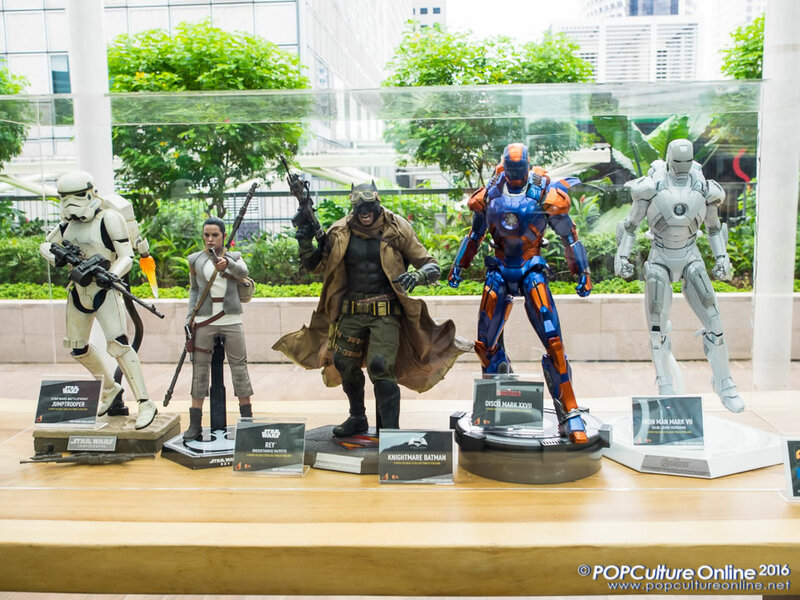 Hot toy fans will also be pleased to know that this year there will be exclusives from the Marvel, DC and Star Wars universe. An interesting addition this year is the Overwatch competition which sees big names Mountain Dew and Blizzard coming in to support. This year’s media preview also sees two short panels with both local and overseas’ guest sharing about their journey into the industry and advice for those looking to join the industry. Starting of with our local guest – Rachta Lin (https://www.facebook.com/rachtalin/), Daniel Yu (https://www.facebook.com/thedanielyu/), Andy Choo (https://www.facebook.com/andimoostudios/) and Zhou Xuanming (https://www.facebook.com/xmashedgear/), they shared how they got started in the industry and how Passion is the key to going professional. For those looking to enter the industry, the advice would be prepared to work hard to find ways to use the internet and social media to spread their work and have an entrepreneurial mindset as you are also starting your own business. Wise words from our local guests which hopefully will inspire our local talents looking to join the industry. Next up is with the international guest Nick Spencer, Emma Rios, Hwei Lim and Jon-Paul Kaiser who shared talked about their journey into the industry, how comic influenced movies from Marvel and DC has helped increase interest in Comics. One thing that was agreed is that the movies have led movie goers to want to find out more about the characters in the movies and this has led them to the comics where the characters originated from. The four international guests were also treated to some local dishes which 3 (excluding Hwei Lim as she is from Malaysia) are trying for the first time. From salted egg yolk croissant to chicken rice, it looked like they were ok with the dishes although this writer is wondering why the King of Fruits, the durian was not included. Then again with STGCC 2016 just tomorrow, better safe than sorry I guess as a bad case of tummyache now would be bad. 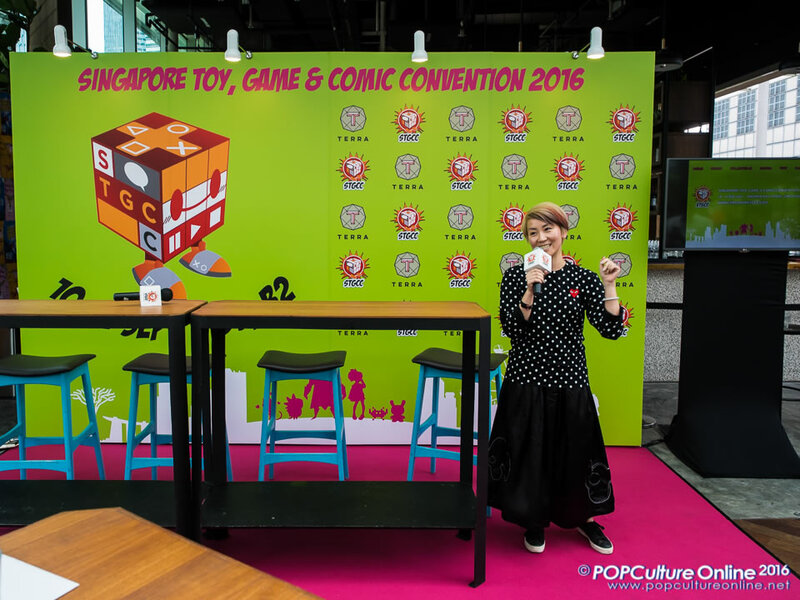 POPCulture Online has been covering STGCC since 2011 and every year we look forward to this event as a major coverage on our calendar. This year it is no different as the entire team gears up for the next two days. Do stay tuned to POPCulture Online on our website and Facebook Page as bring to you our report and interviews from the event. 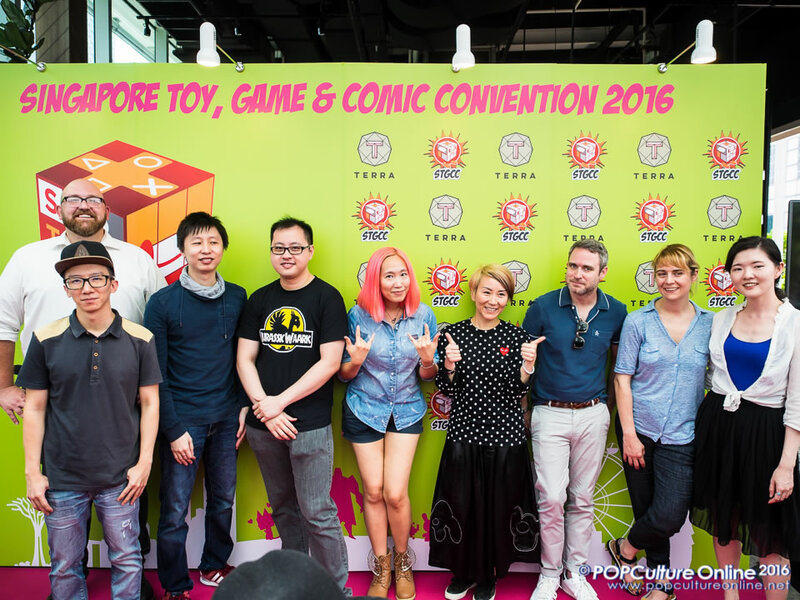 The Singapore Toy, Games & Comic Convention (STGCC) 2016 will happen over the September 10-11 weekend at the Marina Bay Sands Level B2, Halls E & F. For more information, do check out the STGCC 2016 website.